More than 12 million adults in the UK lack basic digital skills. That means they’re shut off from things many of us take for granted — like applying for jobs online, using search engines to look for information, or staying in touch with friends and family on social media. For the past five years — first through Go ON UK and then through Doteveryone — we’ve been working to highlight this problem and how it affects both individuals and our workforce as a whole. We defined and designed the UK’s basic digital skills framework, established an annual Basic Digital Skills Survey, and created a Digital Exclusion Heatmap to identify where the likelihood of digital exclusion is most acute across the UK. 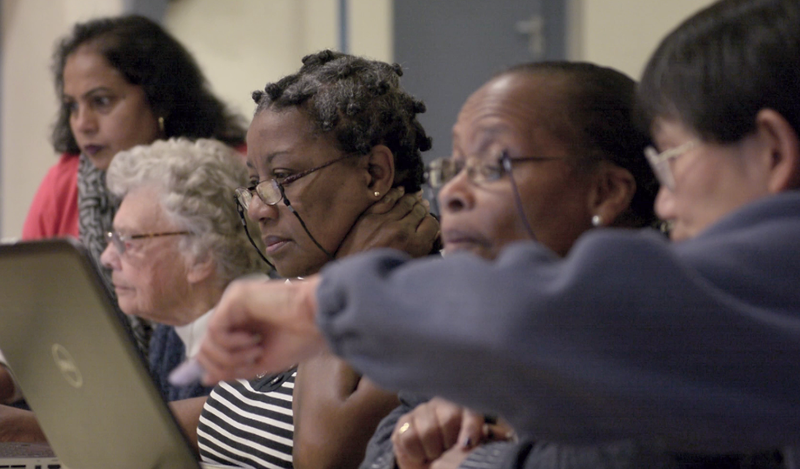 We also spent a year on the ground in Croydon and Lewisham, helping to train up more than 6,300 local residents on how to make technology work for them. The need for basic digital skills is now widely recognised, so it’s time for us to hand over this work to an organisation that has a track record of bringing people together to address critical digital issues. That’s why we’re pleased to announce that as of 31 March, the Tech Partnership — the network of employers working to create skills for the UK’s digital economy — will lead the next phase of our Basic Digital Skills work. We’ve worked hard to champion the need for digital skills — to show politicians, charities, and the private sector how important digital skills programmes are to people’s health and wellbeing as well as the success of our economy writ large. We’re grateful that the Tech Partnership will continue to champion and lead public debate about Basic Digital Skills. There’s so much to gain from a population equipped to make the most of digital opportunities. We’re looking forward to seeing how the Tech Partnership takes our Basic Digital Skills work forward. Fighting for a fairer internet. Stories from the team at Doteveryone. We're championing responsible technology for a fairer future.